Traditions Mini-Golf is a family owned and operated business that was built in 06' and opened the summer of 07' (yea for the little guy). Yep, we moved 350 cubic yards of concrete, 120 tons of rock and planted 200 plants with one rusty old red wheelbarrow. We had a very simple goal in mind (we like simple). Give people the unexpected and have fun doing it! What does this mean? It means we don't have clown faces or windmills on our course. What we do have is a solid rock waterfall, streams flowing throughout the course, ponds with fountains, walking bridges and flowers everywhere. The holes play long and are challenging for adults, but fun for children. Nine of the holes border water hazards; yes you may have to retrieve your ball a few times. Oh yeah and there is more, but we don't want to spoil it for you. We take pride in maintaining our course and facility to give our patrons the best possible experience. 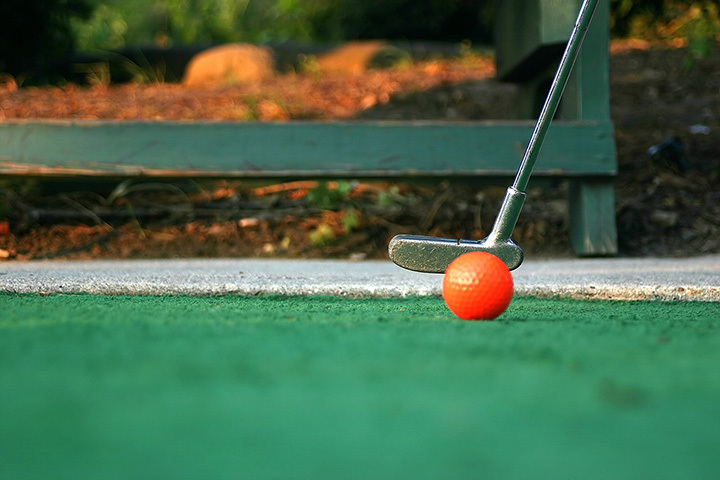 Without bragging we will just say, "you will be playing one of the finest mini-golf courses in Minnesota and at a price that doesn't require a second mortgage". From the minute you walk into the clubhouse it feels like home. The staff maybe strumming on a guitar, but they will promptly help you with a smile and a thank you. It is very laid back around our place, so wear your flip flops and let the stress melt away into a summer's night!